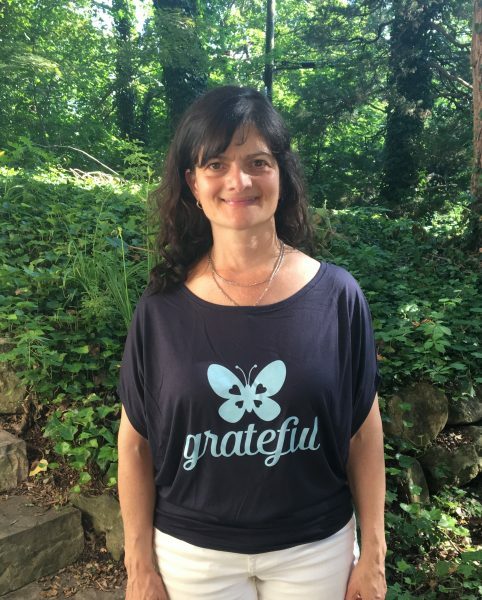 The Grateful Flow shirt is is the perfect reminder to be grateful all day long. Designed to drape perfectly and accentuate a woman’s figure, the flowy circle top features a super soft poly viscose fabrication, unique circle silhouette, wide neckline and short dolman sleeves. 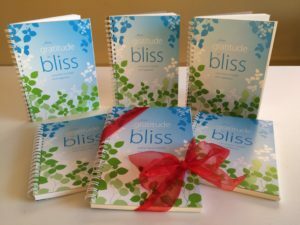 Research shows that people who actively focus on what they are grateful for report becoming 20-25% happier after just a few weeks of practice. Return policy: shirt may be exchanged for a different size provided we still have the new size in stock. If not, a refund less shipping costs will be issued. These shirts will ship anywhere in the US. For international orders, please request a shipping cost estimate here. Butterfly design by Lorraine Miller. Manufactured by Bella and Canvas, a responsible company who puts the earth first, insists on a humane work environment and creates the best tees in the industry. Screen printed by Spectrum Designs Foundation, providing gainful employment and meaningful work opportunities to individuals with autism within a social enterprise; in an effort to assist them in leading fuller, independent and productive lives.